Every year on the first Tuesday after Easter on the Krakus Mound, pre-Christian rituals are revived for a special one-day folk event – a traditional Rękawka Celebration. The Rękawka festivity is directly connected to the Krakus Mound (Kopiec Krakusa) by its etymology: the word rękawka probably derives from rękaw (a sleeve). According to legend, after King Krak’s death, people decided to honour him by building a mound. Everyone wanted to participate, and those who didn’t have better means to transport the dirt used their baggy sleeves. The festival relates to pagan rites of spring’s all souls day with funeral feasts and bonfires. People also planted trees for souls coming back on the Earth in form of birds, and organized games and fencing competitions. First mentions of these secret gatherings reach back to the fifteenth century. After centuries of conflict with the Church, the pagan celebration evolved into a kind of a fun fair event which was then forbidden in 1836 by Austrian partition order. 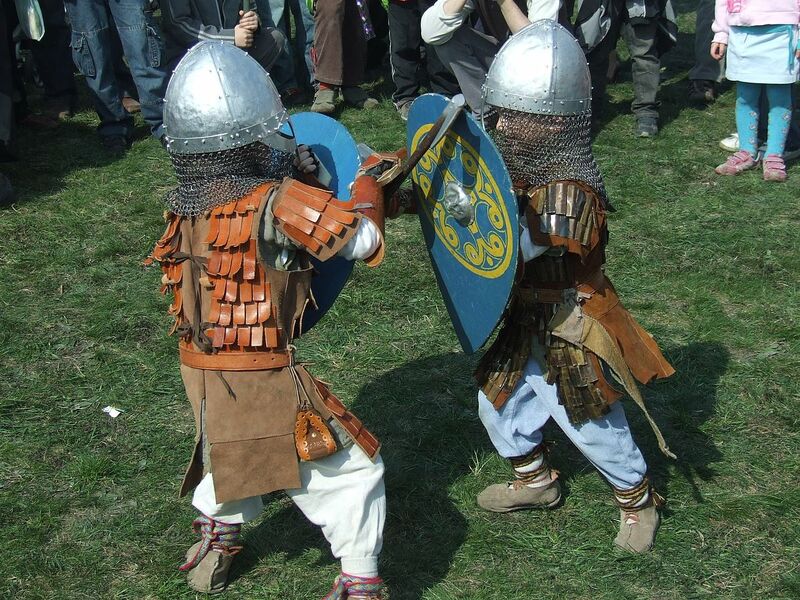 A few years ago, the Podgórze Culture Centre, the District XIII Council, and Drużyna Wojów Wiślańskich KRAK (Troop of Vistula Warriors KRAK) made a successful effort to revive the festival at its original place, Krak Mound, complete with medieval rites, crafts, swordplay, dances and traditional singing. 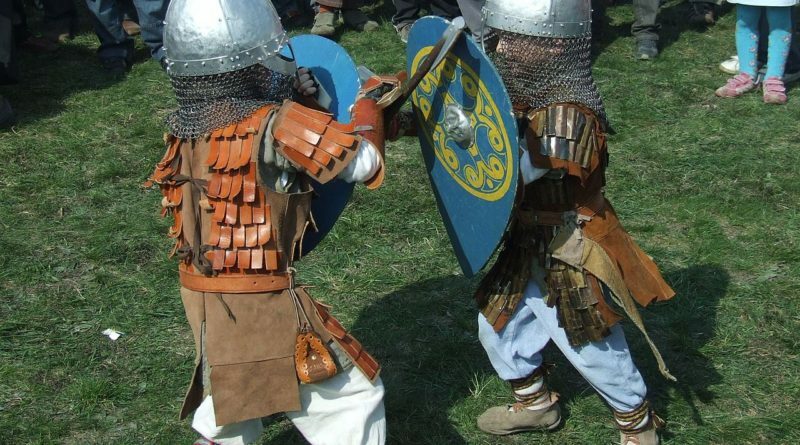 This year’s edition, under the name of Pogańskie zaświaty (Pagan underworld), will be inaugurated by the lighting a bonfire and the customary run around the mound performed by group of “warriors” in full armor. Afterwards, around 30 groups of warriors will present their skills to the public, and little scenes based on traditional Polish legends will be played for all visitors (including the obligatory Drowning of Marzanna). At 16:00 the warriors will join arms – the troop of Vistulans against invaders – and after that the pagan god Weles will guide the souls of dead soldiers to the Slavic underworld, Nawia. Then, at 17:00 there will be a reenactment of medieval anti-vampire burial rites. During the whole event participants can visit a Slavic village, see medieval handicrafts, and taste dishes prepared according to the recipes of Polish ancestors. The festival starts at 11:30 and finishes at 17:30.